The Best of Teacher Entrepreneurs II: FREE MATH LESSON - "Integer Operations Color by Number"
FREE MATH LESSON - "Integer Operations Color by Number"
Do your students love to color? 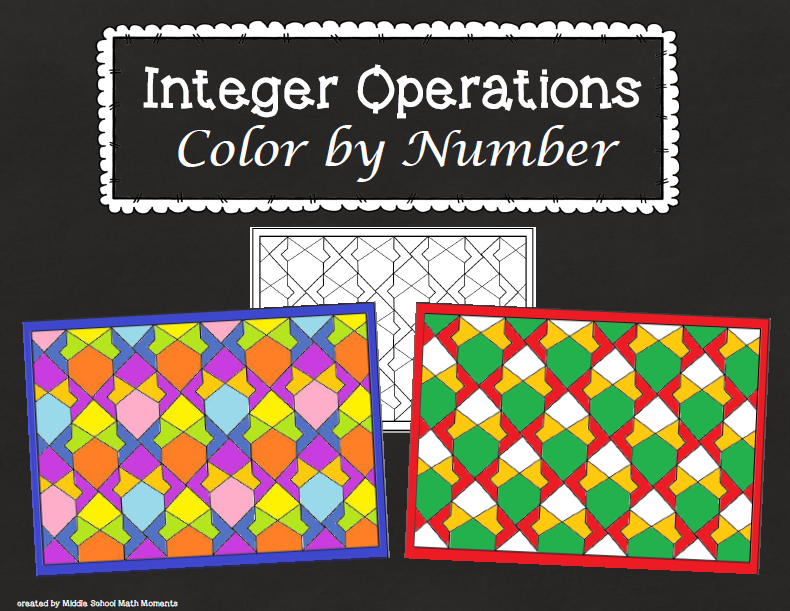 If so, they'll enjoy Integer Operations Color by Number! In this color by number, students solve 20 integer operations problems. Then they find the solution number on the coloring page and color it with the color indicated in the box for that problem. There are two coloring versions included; the questions are the same in both versions, but the colors are different – one is a “regular” coloring page and the other is colored with holiday colors. The different versions are marked with an “A” or “B” in the upper left corner. A coloring page with no numbers is included also, so students can color the pattern their own way, for fun.